Thanks to Valentine’s Day, February is the season for amour. So it’s fitting that, either side of the calendar’s most romantic date, Peninsula Villages will celebrate two incredible love stories – a 60th and 70th wedding anniversary. Norm and Pat Pringle met as teenagers in the 1940s and wed on 19 February of that decade’s final year. Seven full decades later their marriage is living testament to commitment and devotion; the couple living together in a retirement apartment at Peninsula Village. 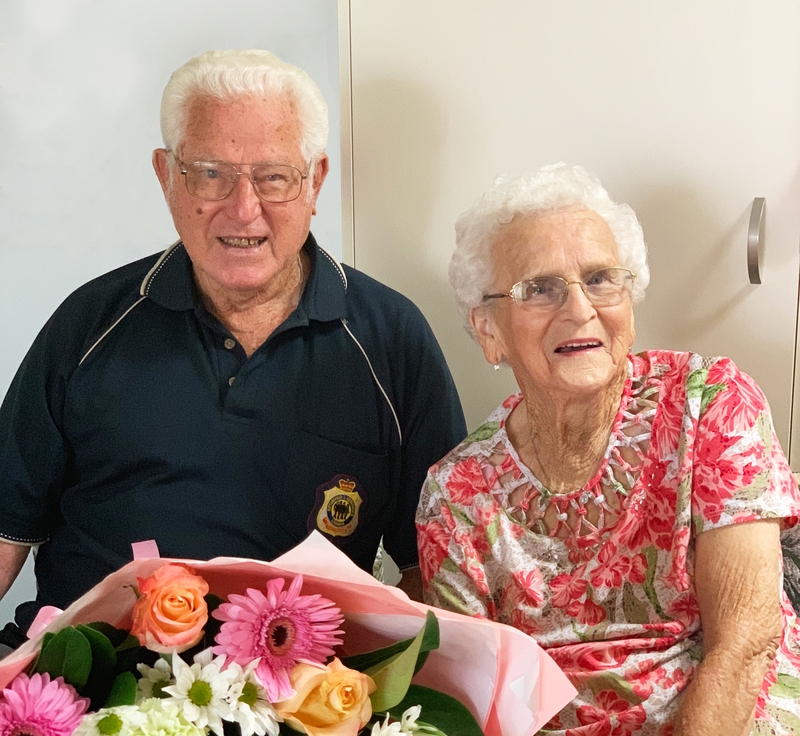 Norm, 91, can consider himself lucky to have survived so long – and not because of his “dodgy heart” that saw the couple move to Peninsula Village for increased care options in mid-2017. “He doesn’t have the best track record when it comes to wedding anniversaries,” Pat revealed. “One year, he forgot to buy me flowers and couldn’t find any florists open on his way home from work that day. So he popped into the local grocer and bought me a cauliflower instead! The couple’s humour and vivaciousness is infectious and the try to keep as active and social as possible. “We moved over here 18 months ago after living in independent living at Cooinda Village for 24 years,” said Norm.